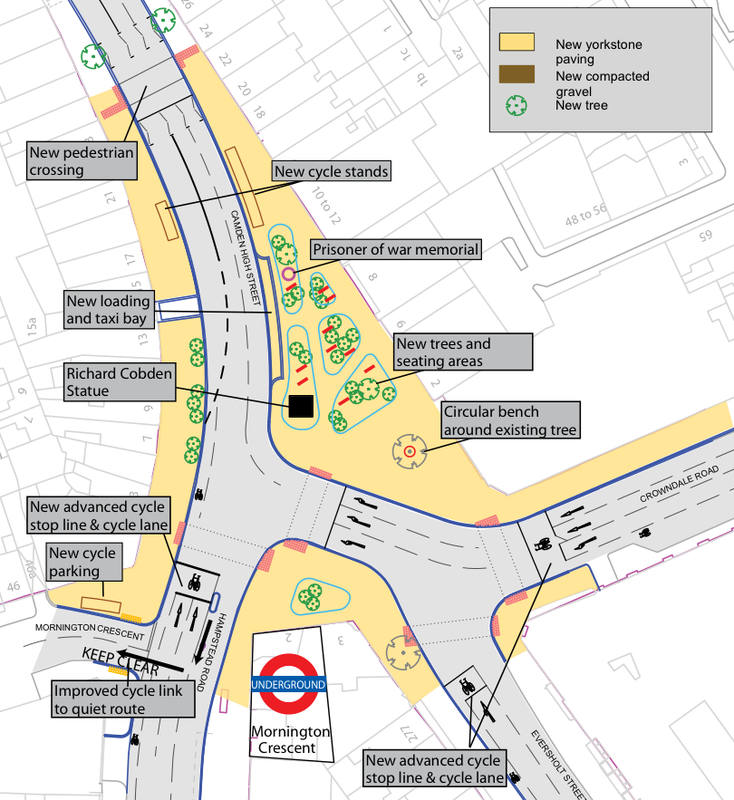 I was alerted to TfL and Camden Council’s plans for Mornington Crescent by Rachel Aldred’s recent article about it. 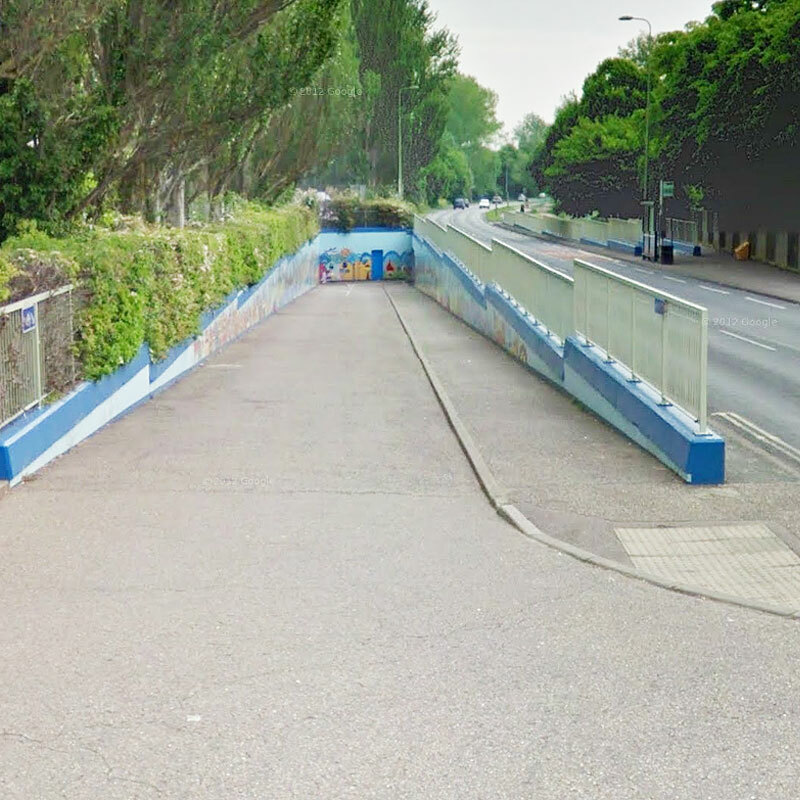 Usually when someone else writes about a subject I leave it, as there’s little point in covering the same ground, but the design for this junction is so appalling I thought it was worth writing a brief article myself. 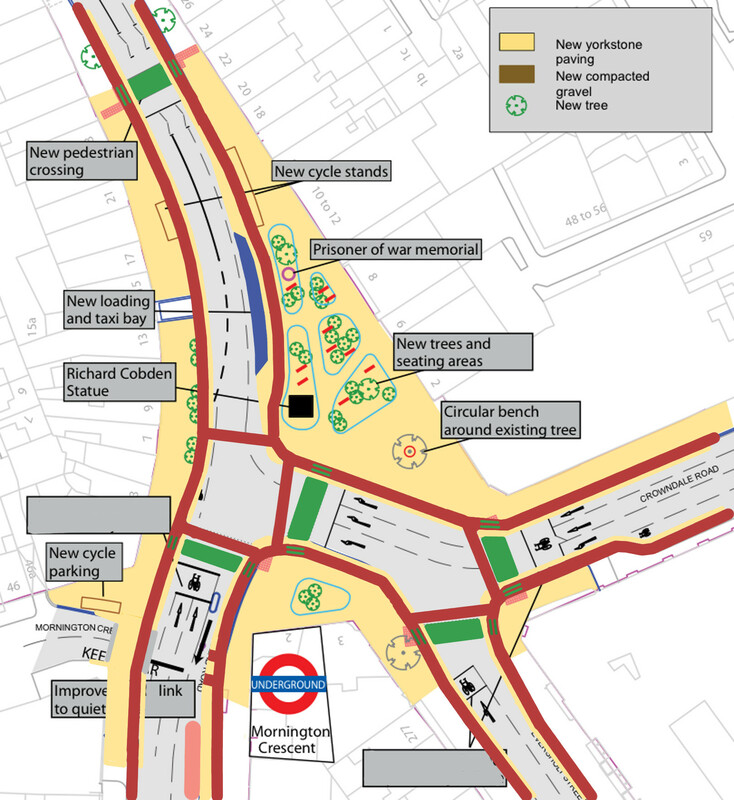 I encourage everybody to respond to Camden’s consultation about this design, which ends on Tuesday. Ignore their leading questions, none of which involve cycling (just say “no”), and tell them exactly what you think in the comments box at the end. Let’s take a look at it, shall we? So what do we have? Despite the tons of space available, the cycling “infrastructure” consists of narrow advisory painted cycle lanes and ASLs. That’s it. It’s a hymn to motoring, a design straight out of TfL’s Network Assurance department’s textbook. I don’t cycle there now, and I wouldn’t cycle there if this was installed. Would you be happy for your children or your parents cycle here? Would those responsible for this scheme be happy to cycle there with their nearest and dearest? I sincerely doubt it. While I’m on the subject, am I right in thinking that these online consultations are rigged? These yes/no questions ask about all the good stuff, and then you find yourself at the bottom of the page having agreed with everything they’re doing. “Do you think more trees are nice”? Yes, course! “Do you think the wider pavement will be better”? Sure! “Thanks for completing our survey and giving your 100% support for our plans to drive a motorway through the neighbourhood.” What?! Hang on! So don’t agree to anything. Just fill in that box at the bottom telling them that their plans are really crap, and they’d better think again. Update, 1st October 2013: On the Cycling Embassy‘s forum, user ‘iBikeDream’ has posted a version of the plans with Dutch-style cycle tracks. Great work! Most readers of this blog are probably already aware of the tragic case of Birmingham teenager Hope Fennell. She was killed by lorry driver Darren Foster after he had been distracted by text messaging while operating dangerous machinery. Her death has caused discontent and desire for change in Kings Heath, the area of Birmingham where she lived. People have taken to the streets in memorial, and also in protest at poor road planning (mainly aimed at too many large lorries being on their streets), the widespread practice and acceptance of using mobile phones while driving, and the lenient sentence handed down to the killer lorry driver. But something extra special happened on Saturday. During a protest and memorial bike ride, Hope Fennell’s mother sat down in the road. A simple gesture, but a powerful one. It wasn’t planned, it just happened. She was joined on the ground by others and there they stayed for 30 minutes. Nazan Fennell’s spontaneous sit-down protest was fuelled by personal grief at the loss of her daughter. But isn’t her grief ours too? Surely as a society we all feel the hurt of not only Hope’s death, but of the thousands of other people who are killed and seriously injured on our roads each year. Surely we should all be angry with a system which prioritises the most greedy, wasteful and deadly mode of transport, which not only kills and maims in huge numbers but which also locks millions in to dependency on it, harming their freedom and health? Or have we become numb to the flowers by the roadside? Nazan Fennell deserves our congratulations and support. It is because of actions like hers that things start to change. Each time I walk down St George’s Road in London, dark clouds gather in my mind as I am reminded of Hichame Bouadimi, the 5 year-old killed by a lorry driver while crossing the road almost one year ago. What changes have TfL and/or Lambeth Council made in response to that tragedy? As far as I can tell, none at all. St George’s Road remains an unnecessarily wide racetrack. And unless those of us who want to live in a city free of motor-terrorism make our voices heard, it will remain so. Where’s our sit-down protest? Why wasn’t Elephant & Castle blocked by angry residents? Why won’t we ‘Stop the Child Murder‘? 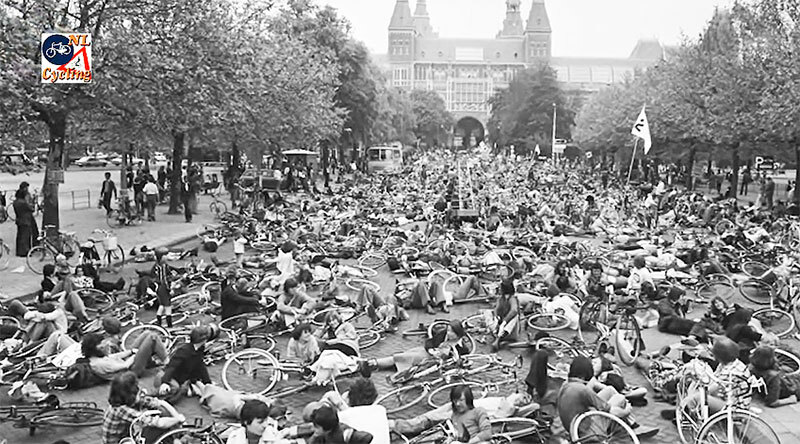 In Amsterdam in the 1970s, protesters sat down on Museumplein and blocked it. Back then, it was a wide road. Today it’s a park. Safer streets campaigners stage a die-in outside Amsterdam’s Rijksmuseum. Without this type of civil disobedience, it seems the authorities will continue with business as usual. It’s a shame that more protests don’t go this way. The feeling I’m often left with after the LCC protest rides is, “is that it? They got thousands of us here and now they want us all to go home after such a short ride?” I know I’m not alone in feeling that way. I expect that the LCC would be reluctant to officially endorse such an action. I can see why they’d feel that way, having made links with TfL and being a proper charity with wages to pay and all that. But you know what? The next protest ride could stop. Imagine if just a few riders suddenly broke free at the front then stopped across the front of the ride. The whole thing would grind to a halt. If these theoretical people then made it clear that they were turning a nice short ride into an actual disruptive protest – you know, the sort that upsets the authorities – surely the vast majority of those riding would agree and join them? Perhaps the ride would even be stopped long enough for all the names of all those killed on our roads this year to be read out. I wonder if that will ever happen? Like the first time I wrote about the CTC, my most recent post (prior to this one) has also got people thinking about what they do and how they do it. Roger Geffen, Campaigns & Policy Director for the CTC, responded to the article which is much appreciated, and you can read my reply there too. The People’s Cycling Front of South Gloucestershire blog wrote an article titled ‘CTC: who do they represent these days?‘ which is well worth a read, as it covers other ground such as the CTC’s support for the disastrous “Nice Way Code” campaign, and their “welcoming note” (albeit heavily qualified) to the DfT’s complete and utter dismissal of the Get Britain Cycling report. Perhaps most interestingly of all, PJ McNally covered another example of the CTC ignoring cycling infrastructure even when it’s under their very nose. Please do go read PJ’s excellent blog post on the subject, but I think the gist of it is worth repeating here in a little photo-post. 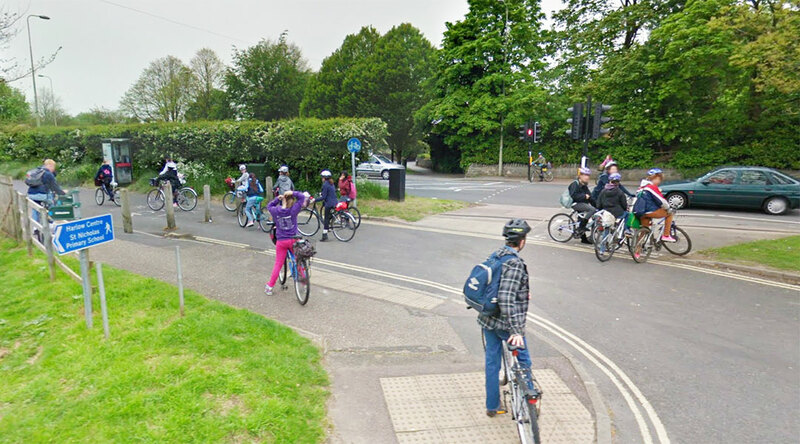 One of the locations in CTC’s “Cycletopia” is Cherwell School (actually in Oxford) where it is claimed that almost 60% of pupils cycle to school. Impressive numbers! According to the CTC’s Cycletopia page, “the school runs cycle maintenance workshops, there’s an active cycling club and they even campaign to improve road conditions for cyclists” which sounds lovely, though I dare say that even with all these pro-cycling policies few parents would allow their children to ride a bike along busy roads. 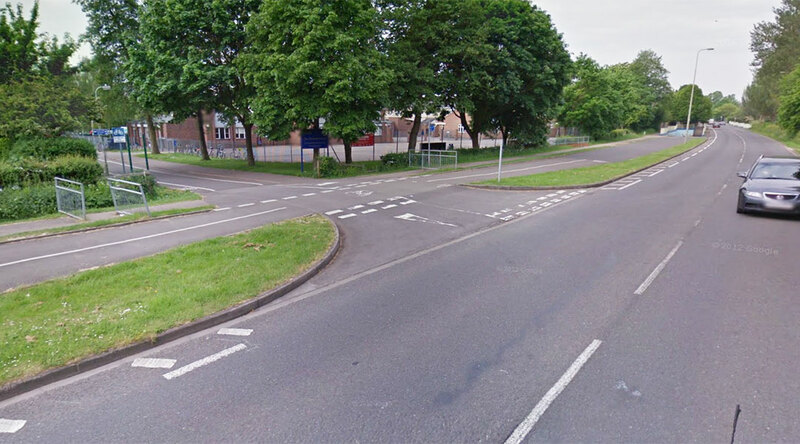 What isn’t mentioned is the excellent (by British standards) cycle infrastructure around the school, specifically the wide cycle path along Marston Ferry Road. Though I know it’s not ideal to get a feel for infrastructure purely from online sources, here’s a few images from Google Streetview. 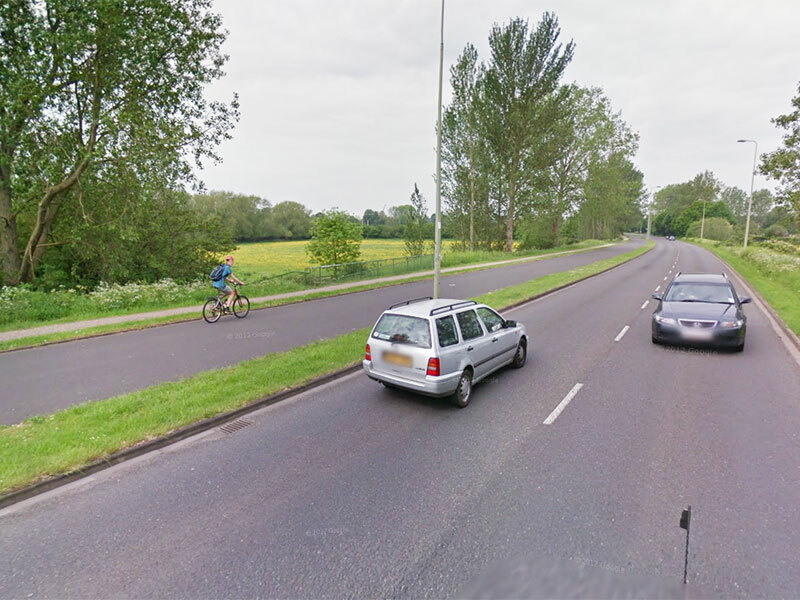 Luckily for me the Streetview car seems to have passed by at commuting time on a school day for one of the images. Looking further around on the map it seems that there are other traffic-free cycle routes from other nearby housing areas, albeit not as wide and well-made as this one. Again I acknowledge that it’s difficult to truly understand how something works merely by looking at a photograph of it. But it’s clear that the cycle path is at least worth a mention when discussing the high rate of cycling at Cherwell School. To ignore it is madness.